Please note that this current website does not have a shopping cart. To buy our Fossil Cave Bear Hands online, please go to our e-commerce website at NaturalExotics.ca. We can get a limited number of fossilized cave bear hands from Romania. 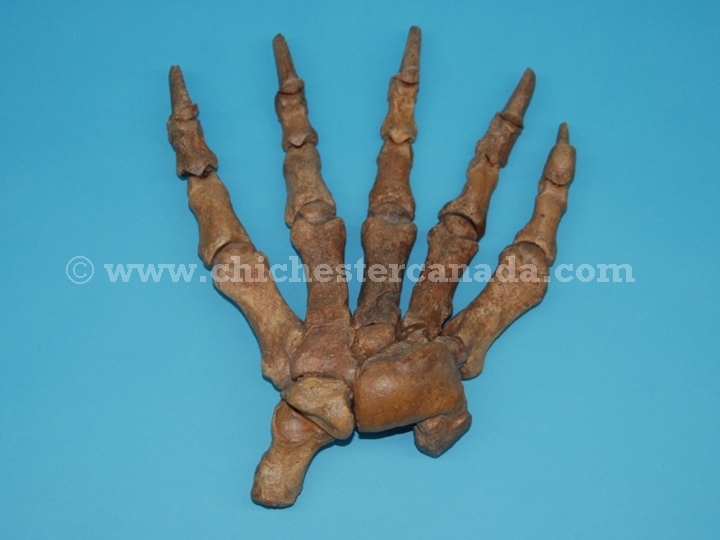 Please see the gallery for available cave fossil bear hand specimens. Fossils are not subject to CITES controls.